This is the finished product from an earlier post. 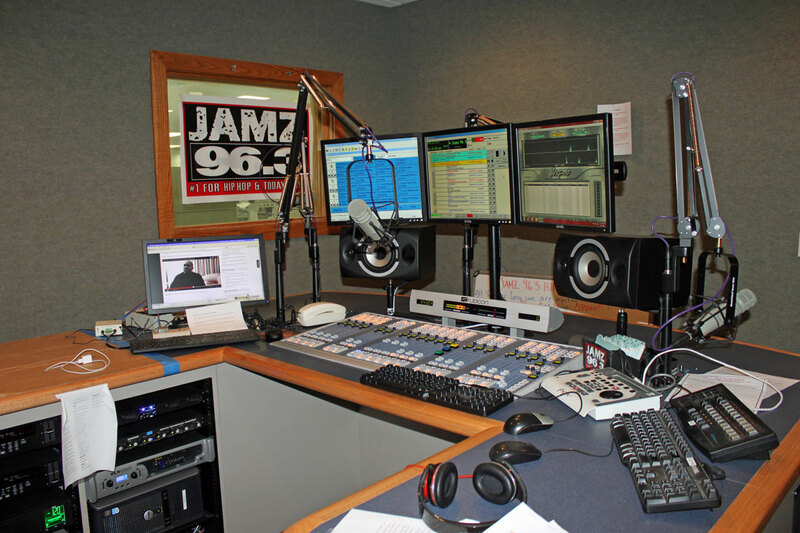 Currently, it it the studio for WAJZ in Albany, but that is not permanent. The SAS studio goes together fairly quickly, as most of the trunking between the TOC and studio is done over the SAS data channel. The studio monitors (Tanoy Reveal) are set on little posts under the computer screens. I like this set up as the DJ’s are less likely to rock the house if they decide to crank up the volume on their favorite tune. I am also kind of digging the lack of a table top equipment pod. That takes up a lot of counter top space and always seems to be in the way. There are two CD players rack mounted below the counter (lower left), which are almost never used.